I am a management trainee from Europe and am working with one of the reputed MNC and am recently transferred to India (Bangalore). It’s like three months and now I am used to how India works. India is a very beautiful country no doubt with highly diversified society. I thought of purchasing a car for my daily conveyance needs and in order to explore this wonderful and beautiful land. 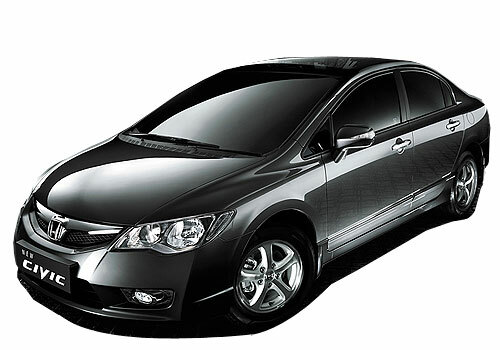 I have been a great admirer of Honda as they have insight intelligence in car manufacturing and are famous for maintaining same standards of quality throughout the world. I started with Honda’s Civic and car stole my heart and I booked the black high end model on the spot. Civic is powered with 1799cc displacement which generates 132 PS power at 6300 rpm of torque it’s huge. Big tyres with wide grip offers amazing grip over the road. I am very much impressed by the looks, its looks nothing short of a sports car, my car is a brunette bombshell very adoring and am thinking of customizing its external appearance to make it a complete racing car. Civic offers relatively high ground clearance and its pickup is simply phenomenal, a slight pedal touch and car is all set to go wild. Interiors are very spacious and 5 people can enjoy the ride with all the amenities one can think of and its rear compartment is just like a 7 star suite. Seats are very soft and extended headrest and hand rest for all the passengers is one of the features unique of its own. Cars comes fully loaded with safety features like air bags that makes it a very safe ride especially on Bangalore roads where rash driving is people’s hobby. I want to thank Honda for providing me with the world class product.